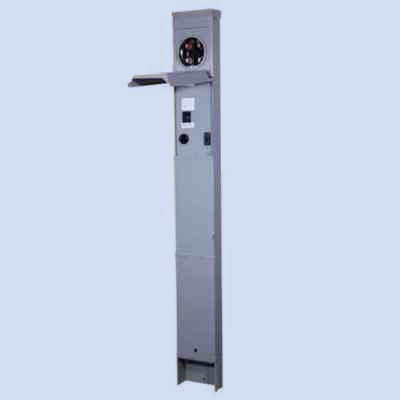 The M041CP6010 is a direct bury pedestal with 30/20 amp RV service and has loop-feed lugs to daisy chain pedestals together. Electric meter is sold separately. Constructed of G90 galvanized steel, this 30/20 Midwest direct bury pedestal is finished with a gray polyester powder-coated paint that is baked on and NEMA 3R rated for outdoor use. 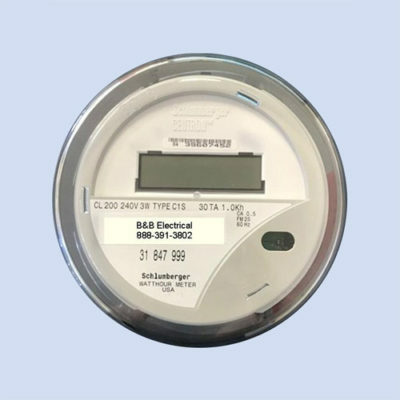 The ring-type meter socket is rated at 100 amps. 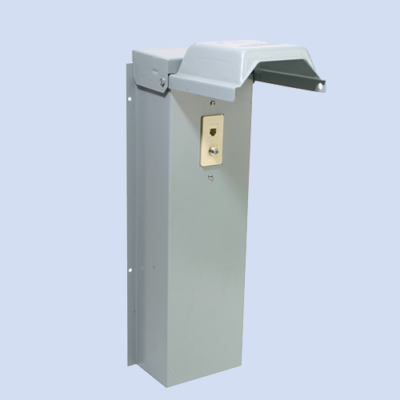 The rolled-edge receptacle door swings up and open and can be locked. 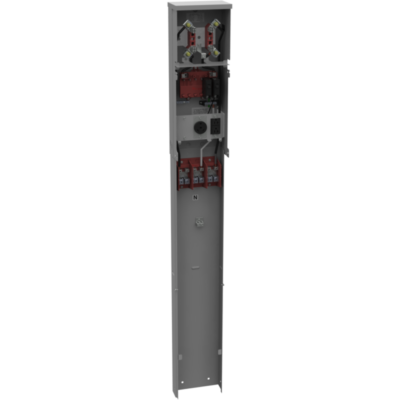 Units come factory wired and assembled with breakers and receptacles installed and has loop-fed lugs. Canada cUL approved.